Powerstar is currently involved in a Knowledge Transfer Partnership (KTP) in collaboration with Sheffield Hallam University and Innovate UK. 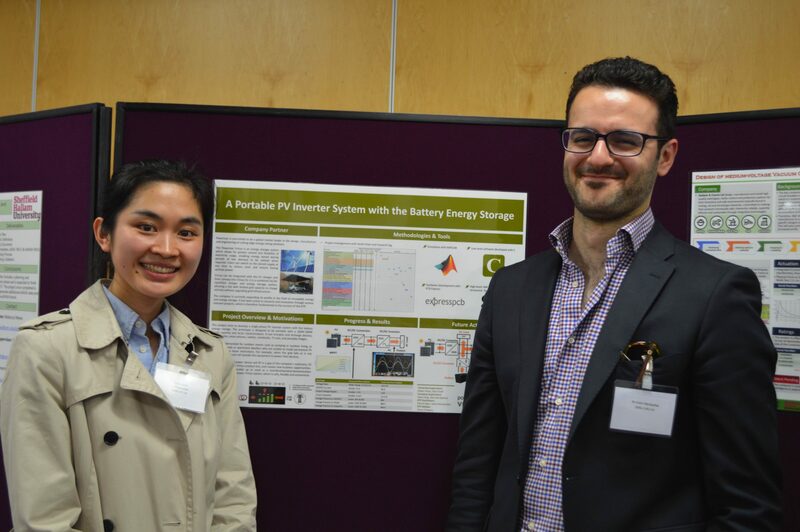 Sheffield Hallam University ‘control and power electronics’ PhD graduate and Powerstar employee Dr. Zeng is at the forefront of developing a portable solar power PV inverter system with battery energy storage. With a 100W – 200W capacity and DC/AC inputs/outputs, the new system will have the ability to charge items such as smartphones, tablets, e-readers and lights without the use of electricity from the National Grid. The system will be in high demand for outdoor events, such as camping and festivals, as well as for tenants in rented accommodation who cannot install solar PV on their premises due to leasing restrictions. The device will further enhance Powerstar’s energy storage portfolio, which is currently designed between 50kW and 10MW under the Virtue product line. The product will offer Powerstar a wider range of business opportunities with new and existing customers, providing a more comprehensive range of options to meet individual requirements. Additionally, it can be used as a development platform for the company’s high power Virtue energy storage solution. Solon Mardapittas, lead project scientist for Virtue, says: “With innovation at the heart of our ethos, we are always looking for new ways to improve our range of solutions within the energy efficiency market. When we learned about the KTP programme from Sheffield Hallam University, we were keen to be involved. Dr. Zeng adds, “With full support from Powerstar, Sheffield Hallam University and Innovate UK, the project is running successfully and is benefiting all parties. The three-year KTP programme is government-backed by Innovate UK, the UK’s innovation agency and is aimed at driving new technology-led products. Powerstar is currently celebrating 16 years of trading – a credit to British manufacturing, which is all completed on site at the company’s South Yorkshire head office. The company is accredited with the prestigious Made in Sheffield accolade in acknowledgement of the quality of its manufacturing process.